The Google Pixel 3 is to be unveiled next month. At this point, we know pretty much everything there is to know about the devices owing to a plethora of leaks that keep coming. Today, we got our hands on an exclusive leak, which sheds more light on Google’s 2018 flagships. We managed to get our hands on the press render for the official wireless charger for the new Google Pixel 3 and Google Pixel 3 XL. 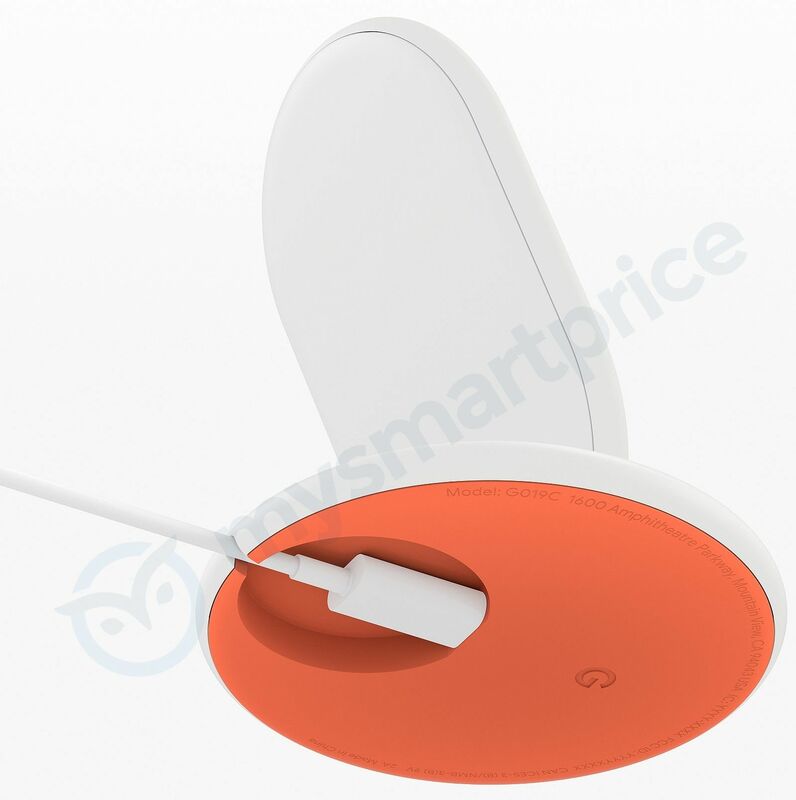 The wireless charging dock comes with an orange base and has the Google logo at the bottom as seen in the image below. A recent leak confirmed that the Pixel 3 would be able to turn into a Smart Display using a Pixel Stand wireless charger. The leak was obtained via some code found in a recent Google APK. 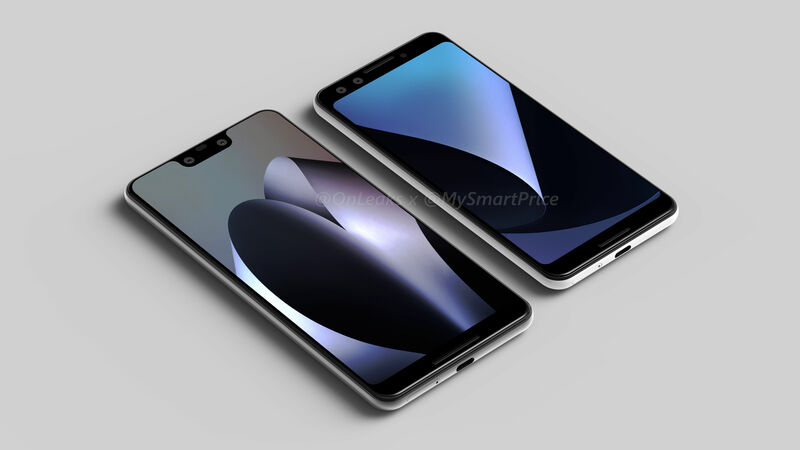 You can see that the base has a hidden USB Type-C connector, and by design, the phone will be in a standing position. Usually, wireless charging pads will have the device laying on top of it. That doesn’t seem to be the case with the official wireless charger for the upcoming Pixel 3 and Pixel 3 XL. We believe the upright position will make it easier to interact with the phone while it’s charging. As per a previous leak, the phone will have a custom UI when placed on the charger. The UI will have larger buttons for easy interaction, shortcuts for quick actions such as music, phone, etc., and easy access to Google Assistant. Notifications will have a different UI as well, making it easy for you to read and interact with them. It could also feature an inbuilt speaker. This pretty much confirms that the Pixel 3 and Pixel 3 XL will support wireless charging and fast charging, unlike its predecessors. It will also support fast charging via the wireless stand. That is good news, as a lot of users have wanted this. Google will be announcing the latest Pixel 3/3 XL smartphones at an event held in New York on October 9. We aren’t very far from that day, so we shall know all the details then. Update: Added alternative live wallpaper download link. After exclusively bringing you the first renders of the Pixel 3 and the Pixel 3 XL, we’re now bringing you the entire wallpaper collection from the yet unannounced smartphones. While there’s still some time left for the official unveiling of Google’s next-generation Pixel smartphones, we managed to get hold of all Google Pixel 3 and Pixel 3 XL wallpapers from our source. There are 28 wallpapers in total, and you can get all of them by hitting the download button below. If you want, you can just download just the ones that interest you from the Google Drive (or Mega) link that we shared below. If you want live wallpapers, you need a phone running Android 9 Pie, and you should install the APK file (com.breel.wallpapers18_9.apk) included in the Google Drive (or Mega) folder along with the Google Wallpapers app from the Play Store. The Pixel 3 and the Pixel 3 XL will be unveiled by Google on the 9th of October 2018. The phones have been leaked extensively over the past couple of months, and we now know most of the specifications of the devices. Both phones will be launched with Android 9 Pie, and use the Qualcomm Snapdragon 845 processor, 4GB RAM, and 64GB/128GB storage. While both phones have louder front-facing stereo speakers, none of them has a 3.5mm headphone jack. The Pixel 3 will come with a 5.5-inch display, while the Pixel 3 XL will feature a 6.2-inch display. Both phones will feature HDR10 and HLG-compatible OLED screens with always-on display modes. Similar to the Pixel 2 series, the Pixel 3 series will use a single rear-facing camera, featuring a resolution of 12.2 megapixels, dual-pixel PDAF, OIS, ƒ/1.8 aperture, and 4K video recording at 30fps. Instead of relying on two cameras for capturing images with background blur effect (also known as Bokeh Mode), Google will rely on a single camera in combination with computation photography and AI. At the front, both phones will feature dual-8MP cameras. The primary front-facing camera will feature variable aperture (ƒ/1.8-ƒ/2.2), wide-angle lens, and autofocus. The secondary front-facing camera will feature ƒ/2.2 aperture, ultra-wide angle lens and fixed focus. The Pixel 3 will come with a 2915mAh battery and the Pixel 3 XL features a 3430mAh battery. Both phones will be compatible with rapid wireless charging. Both smartphones will also feature dust and water-resistant bodies, a nano-SIM card slot, a USB Type-C port, and a fingerprint reader.